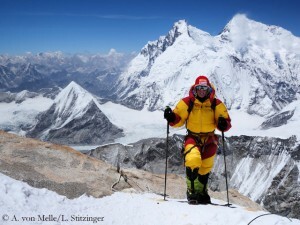 Alix von Melle: Next exit Everest? The ridge between audacity and high spirits is narrow. And it is always a question of perspective. If a climber is to explain a beach goer why he exposes himself to the risk of falling during a mountain tour, he will mostly meet with stunned disapproval. Alix von Melle will probably face those reactions if she will really set off for Tibet next spring to climb Mount Everest. 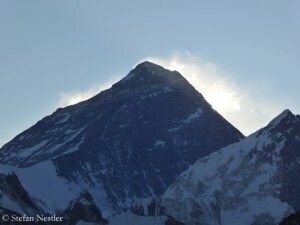 Finally, Alix had to abort a summit attempt on Makalu for health grounds last May. “It was a gut feeling. I was extremely cold, and this cold came from my inside”, says the 43-year-old, who leads the ranking of German female high mountaineers, with six summit successes on eight-thousanders. 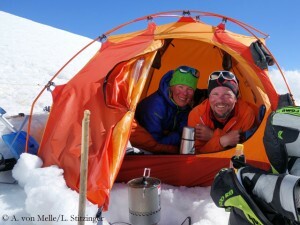 With her husband Luis Stitzinger, Alix descended to their last high camp. “Then I sat in the tent and really gasped for breath like a fish out of water.” The suspicion: a high altitude pulmonary edema. Using bottled oxygen, Alix was able to reach the base camp by her own. Later pneumonia was diagnosed additionally – and asthma was involved too. “It is still not clear what exactly was the reason, probably a stupid combination of all”, says Alix. After her return to Germany, she was short of breath for weeks. Then she recovered and began to train again. In September, Alix joined a commercial expedition to the 5895-meter-high Mount Kilimanjaro that was led by Luis, and she scaled the highest mountain in Africa. 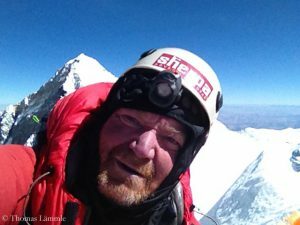 “I tolerated high altitude on Kili well”, says von Melle. 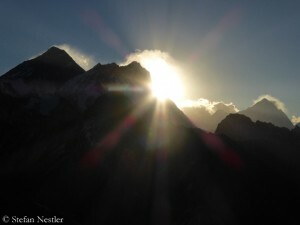 “I realised, everything’s allright again.” Thus she started planning her next eight-thousander-project. “It is not yet certain. 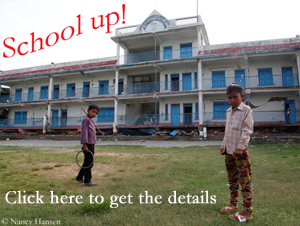 But Mount Everest from the Tibetan north side belongs to most probable options”, says Alix. She and Luis are thinking about using the infrastructure of an Everest expedition operated by Amical and led by Dominik Mueller.